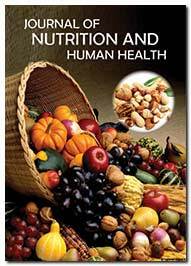 Journal of Nutrition and Human Health, a newly launched scientific journal dedicated to advancing the science of nutrition and human health through the rapid publication of high-quality original research, systematic reviews, meta-analyses and technology reports, perspectives, etc. The journal is directed to nutritionist and others involved in research and practice of nutrition and human health. It features every facet of the nutrition and human health to find better ways to treat illnesses and conditions of the human health. With an emphasis on conceptual breakthroughs, the journal goal is to facilitate rapid publication and circulation of novel discoveries in the field of nutrition, nutrigenomics, nutritionist communications, food chemistry, food Science, diabetes nutrition, food safety and human health and other aspects relevant to nutrition. Individuals interested in becoming members of the Editorial Review Board should contact by the below email. Assessment of dietary pattern and factors that affect hemoglobin concentration of third trimester pregnant women at Ambo Governmental Health Institutions, Ethiopia. Nutrition education strategy with father involvement to improve infant feeding practices in Kisumu, Kenya. Adolescent smoking: The relationship between cigarette smoking,E-cigarette smoking and BMI.